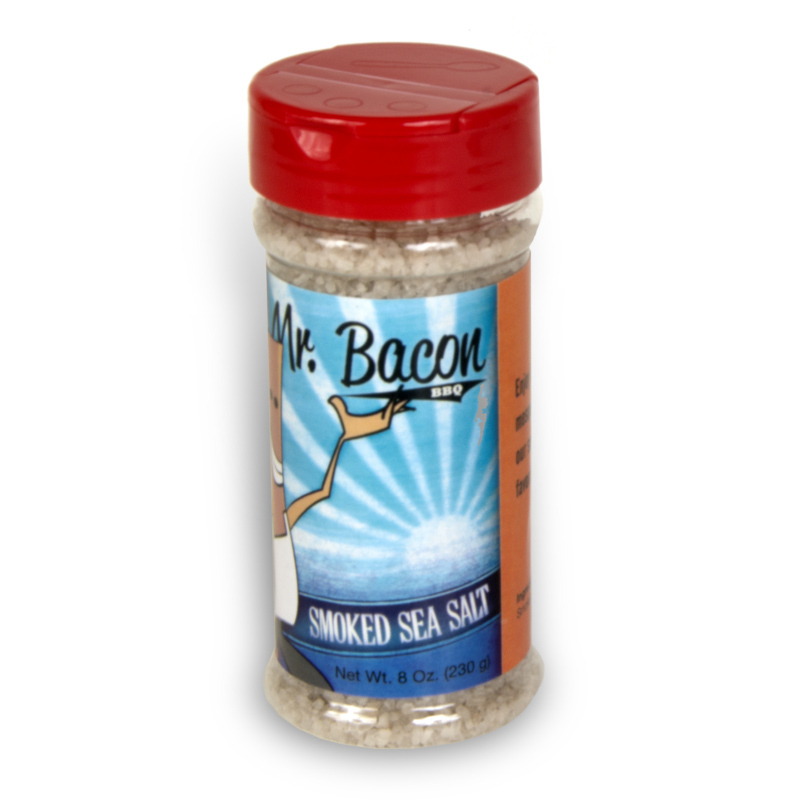 The smoky mesquite flavor makes this sea salt just right to spice up a main course dish or vegetable. Made with quality ingredients for a unique Kansas made flavor. By Mr. Bacon BBQ of Lawrence, Kansas.